Sunshine Safety Council (SSC) offers 2 DUI School courses. 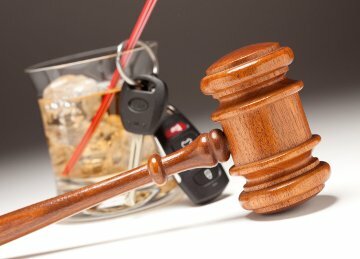 Our DUI Programs are Department of Highway Safety and Motor Vehicles (DHSMV) approved and meet/exceed the state of Florida certification requirements for DUI Program staffing and operations (Administrative Rules Chapter 15A 10). Additionally, the Council has been serving Flagler, Putnam, and Volusia Counties as a DUI Program Provider since 1973. Of course our Instructors, Certified Level I and Level II DUI Instructors, meet DHSMV requirements. The Driver’s Risk Assessment portion, conducted by Certified Evaluators also meets DHSMV requirements. Furthermore, each student receives a certificate of DUI Program completion successful completion of both the education and evaluation components of the DUI Course. SSC’s DUI Program issues completion reports to the DHSMV as well. Reports of successful completion of DUI school are electronically submitted the day after the final service. Each student that successfully completes the evaluation and applicable level of DUI Class (Level I or Level II,) will receive a completion certificate. In addition, the student can provide the certificate to the courts or probation office as necessary. Conversely, unsuccessful completions are reported 90 days after enrollment, per FS 322.291. With proper documentation, SSC will by all means respond to direct inquiries from the courts or probation. Certificates of completion will include information regarding possible treatment referral requirements. Completions of substance abuse treatment (if applicable) as well as failure to complete statuses are sent directly to the DHSMV. Only approved treatment providers can offer completion certificates to students who require such documentation to comply with a treatment referral. 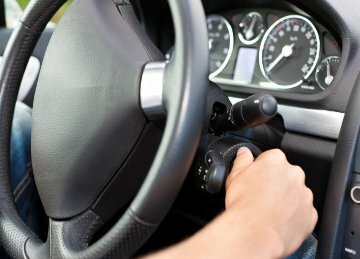 Because the Courts and DHSMV requested programs to assist in lowering repeat DUI’s, the Council stepped up and began offering Special Supervision Services and Ignition Interlock Programs as well. The Victim Awareness Program (VAP), designed to assist DUI offenders in seeing their offense from the perspective of those who have lost a loved one or been injured themselves may also needed. Florida Statute (F.S.) 316.193(5) & Florida Administrative Rule 15a.10- Licensure under Florida Department of Highway Safety & Motor Vehicles. Approved 12 hour course of evaluation and instruction to satisfy statutory requirements for first offense of DUI, DUBAL, Refusal, DUI ammended to Reckless,Boating under the Influence (if court required), and/or related arrests/convictions requiring course attendance in an alcohol/substance abuse education program. Purpose: To give DUI offenders with revocations on their licenses the opportunity to receive a restricted license. Entry into the Program is an application process. Due to the amount of paperwork you must arrive two (2) hours prior to the close of business. See Office Hours for each location.